Graded Readers improve reading speed and fluency, develop and enrich vocabulary, and help language learners move from working-with-words to working-with-ideas. Enjoy reading Japanese without a dictionary. Narrated by professional Japanese voice talent. Kana readings provided for all kanji characters. Simplified grammar, vocabulary, and plot by level. Graded readers are books especially written for language learners. They employ a limited set of grammar and vocabulary which allows learners to enjoy reading without struggling. Studies show learners who use graded readers improve reading speed, reading fluency, help develop and enrich already known vocabulary, and improve their ability to move from working with words to working with ideas when reading. Each story includes illustrations to aid comprehension and audio of the full-text narrated by professional Japanese voice actors. 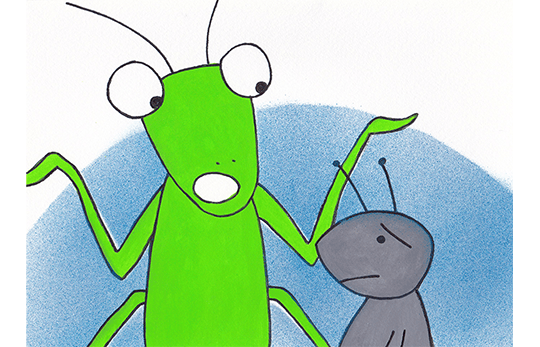 Grasshopper was singing and enjoying its summer day, while Ant was working and preparing for the coming winter. The story shows the value of hard work and thrift. 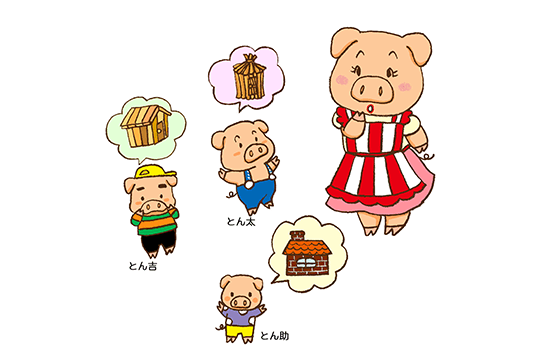 Sanbikinokobuta is a retelling of the classic fable “The Three Little Pigs.” Three little pigs built their houses in different materials. The wolf blew down two houses. The wolf couldn’t blow down the house made of bricks. Yet, it still managed to go into the house from the chimney. The birds and the beasts started a war. The bat was watching while everyone was fighting. 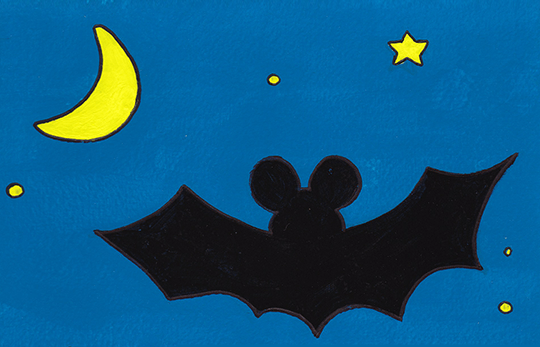 When the war ended, everyone's attention turned to the bat. "Doushite Umi no Mizu wa Shiokarai?" is a story about a man who because of him kindness received a magic mill. Then his jealous brother stole the magic mill. Kachikachiyama is a Japanese folktale in which a rabbit gets revenge on a murderous tanuki (Japanese raccoon) ‘Yama’ means mountain and “kachi-kachi’ is the crackling sound of a fire. You will learn more about why a mountain would be named after the sound of fire in this Japanese fairy tale. 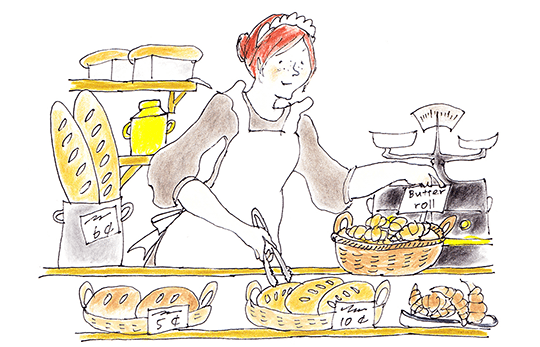 Futatsunopan is a retelling story of O. Henry’s “Witches’ Loaves.” Masa is a 40 years old woman who runs a bakery. She fell in love with a guy who always bought two loaves of stale bread from her store. Masa saw some paint on the guy’s fingers, so she thought the guy is a poor painter. One day, Masa added some butter into the guy’s bread and was thinking that the guy would feel happy about it. However, the guy went back in an angry face and yelled at her. 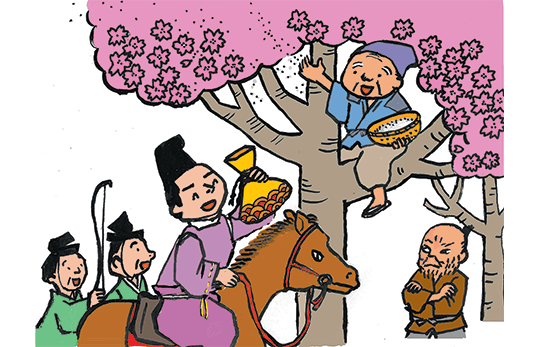 Hanasakajiisan is a story about a kind-hearted old man, who grew cherry blossoms, and got the name from a feudal lord. 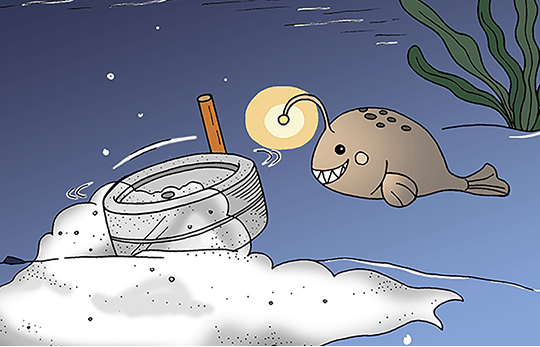 In this fable, you will learn about the consequences of greed and the rewards of doing the right thing. Hitofusanobudo is the retelling story of Japanese novel, "Hitofusanobudo,” written by Arishima Takeo. The story is a narrative story. A guy was talking about his school life in Yokohama, where was once a place filled with Western people. He loves to draw; yet, his paints were not as good as his Western classmate, Jimmy. He stole paints from Jimmy. Soon after, his favorite teacher found out as well. 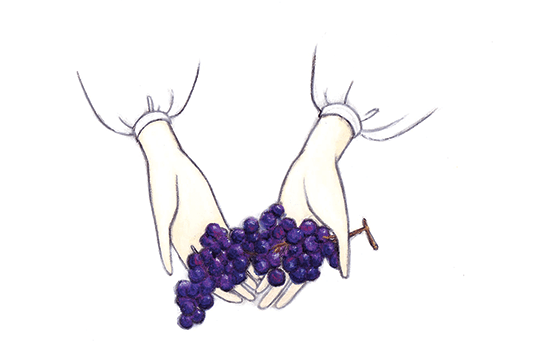 The teacher gave Jimmy and him grapes and helped them to become good friends again. 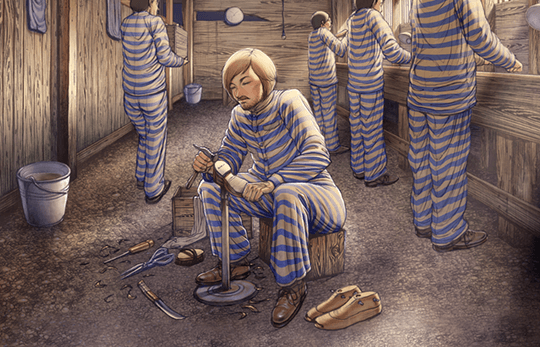 Kinkoyaburi is a retelling story of O. Henry’s “A Retrieved Reformation.” Originally set in America the early 1900s, the story describes the events which lead up to the reformation of an ex-convict safecracker. Reading in a foreign language can be frustrating. By deftly mixing unfamiliar and familiar grammar and vocabulary, Graded Readers serve as a natural bridge, helping readers build-up to native-level materials. Deliberate repetition of carefully chosen new vocabulary enables readers to infer meaning from context. Because they can be read and enjoyed without struggle, Graded Readers build skills and confidence. The new vocabulary is repeated several times to help the reader understand words meaning through context. Graded Readers improve skills and confidence because they can be read with ease. New vocabulary and difficult concepts are illustrated with carefully created artwork. Dotted throughout the story, these illustrated scenes help readers understand what they are reading. Each story is brought to life with professionally recorded audio. 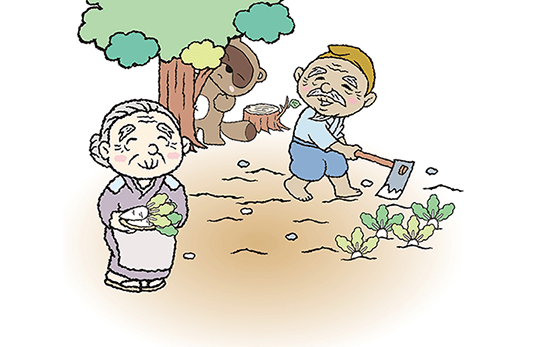 Dramatic native-Japanese voice talent make the story memorable while demonstrating proper pronunciation. Each Kanji is transcribed with furigana. It allows the reader to know how to pronounce Japanese characters. So you only have to know hiragana and katakana to be able to read Graded Readers. Each story is written for a defined readership. We chose grammar difficulty and vocabulary based on the Japanese level of readers we target. Download the Japanese Graded Readers app on your smartphone or tablet.